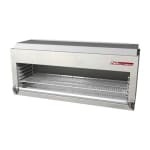 The Southbend P36-CM infrared cheese melter is made of durable stainless steel with a chrome-plated rack and five rack guides. A dual valve separately adjusts the left and right burners from off to low, medium, or high while a removable anneal crumb tray collects debris for cleanup. 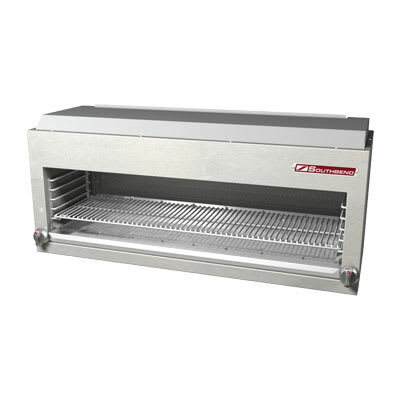 The melter can be installed on walls, countertops, and flue risers.